Recently, there have been reports in the Nigerian press on how school fees and medical treatments have been the problems of forex scarcity in Nigeria. What most Nigerians do not know has been the calculated attempt by powerful forces to manipulate the press in order to divert attention from major FX malpractices going on in the country. 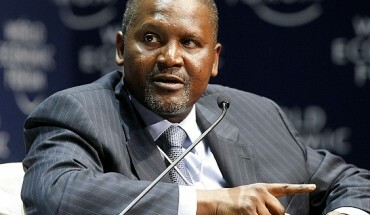 According to this leaked documents which were obtained from highly reliable sources in the financial services industry, big companies like Dangote have been collecting approvals from the CBN to buy dollars from the interbank market for the expansion of their plants in other countries but then go on to use that approval to buy FX from the official market through Form A, Form As are normally used for transactions like school fees, etc but what these companies do is to export our FX and round-trip back to the country through shadow corporations based in Dubai amongst others. Whilst the CBN clearly states in its approval that only inter-bank funds should be used and not official market funds, FX allocation publications by the banks not only show that they used official funds but that they also used Form A to ensure non-trace-ability of the funds. What is the benefit of these outflows to the country, if any? It is almost certain that profits are not repatriated back to the country so what drives this policy? I confirm. I agree with told all above. Let’s discuss this question.